Part 1 of Living the Sustainable Tiny Life* is all about my tiny sustainable soul’s journey to an amazingly rewarding authentic sustainable lifestyle, from its fledgling beginnings to present day. Part 2 takes you through the build process of the Silver Bullet Tiny House. Plenty of pictures, resource links and details reveal my construction and design choices that actualized the Silver Bullet challenge I set for myself in 2012. Part 3 the Silver Bullet Tiny House and I are going on tour. I hope this e-book can inspire others with the lessons I’ve learned on my way to crafting a simpler, more mindful, and healthier lifestyle living tiny. 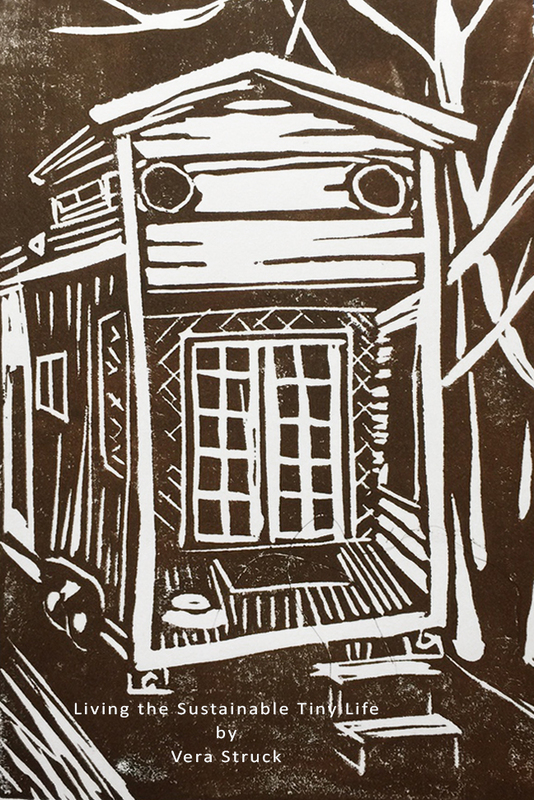 “It isn’t often you read a book that is grounded in the tiny house movement that touches on such a rich autobiographical history. 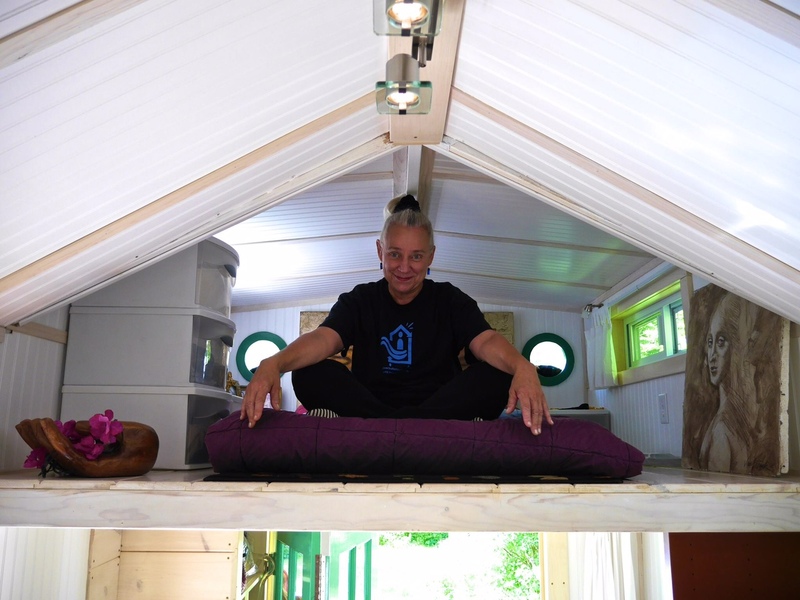 Chronicling her career(s) in finance, redevelopment, visual art, and education, author Vera Struck builds her reasons for tackling the Silver Bullet Tiny House challenge she set for herself. Are you ready? Click the Add to Cart button below and “just do it!”. * All proceeds go to scholarships for needy students at our TerraBluTeams.org workshops and the Living the Sustainable Tiny Life tour that begins next year.